2019 Lauren Alaina #CMAFEST Fan Club Party On Sale 3/27! Lauren Alaina has announced that she will be holding her secon annual fan club party durning the 2019 CMA Music Festival in Nashville on Saturday, June 8th at 11 AM at Marathon Music Works! 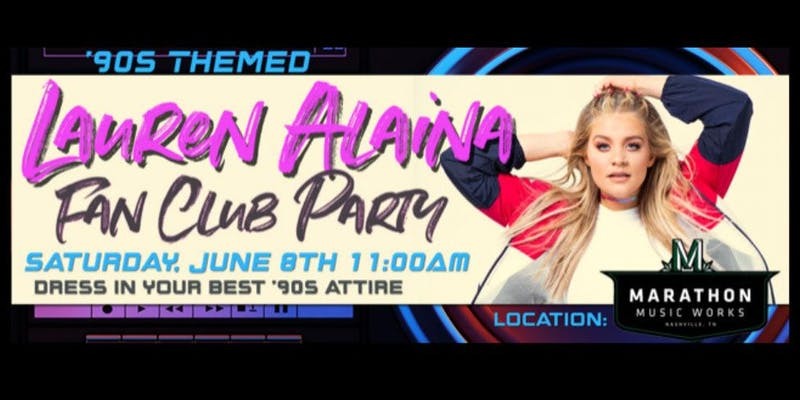 This year's party will be 90's themed and include lunch, performance, photo opportunity with Lauren, and a surprise souvenir! Click here to join the Lauren Alaina Fan Club!